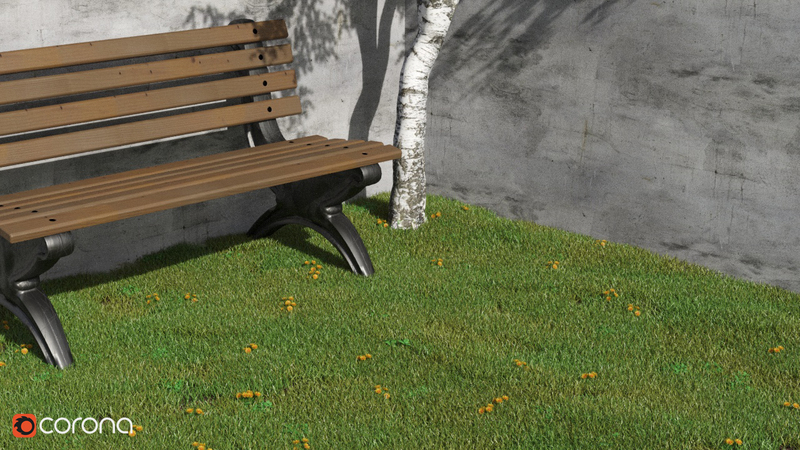 How to avoid grass fireflies with Corona Renderer in Cinema 4D? Sometimes when we think we have the correct setup we can still run into problems. And in this case it's fireflies in the grass. A known rendering artifact that can appear when incorrect material settings or lighting conditions have been used. The physical properties between real world lighting and 3D lighting can differ greatly. Real grass is more complex than CGI grass and suffers from anomalies which are less apparent due to camera imperfections. 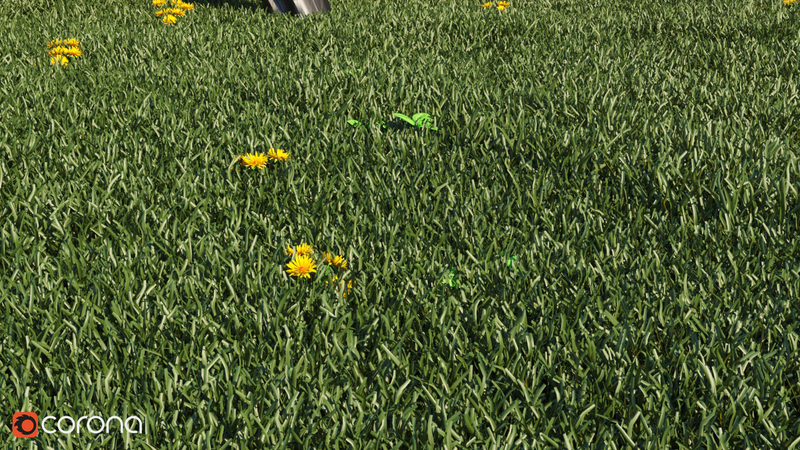 The highlight glossiness of a blade of grass (pictured below), is a natural occurrence caused by anisotropy, something that many 3D artists may overlook when setting up the material properties. There are various ways to avoid them from happening. One method would be to lower the reflection glossiness amount of the material to around 0.5 and introduce some anisotropy to emulate the micro groves of the blades structure. Using a detailed curved mesh rather than flat planes as blades is highly recommended. 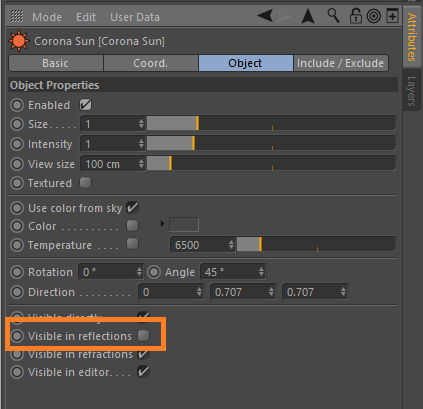 Another method is to turn off the Corona Sun's visibility in reflections, found in the sun tag. This will eliminate all reflections in the grass from the sun and may result is a less realistic result. Lighting will also play a huge part in determining whether your grass will have fireflies or not. Although Corona's Sun and Sky will produce a perfect summers day, it will also produce a strong reflection and will surely contribute in the creation of fireflies. When possible, use an HDRI to light your scene. 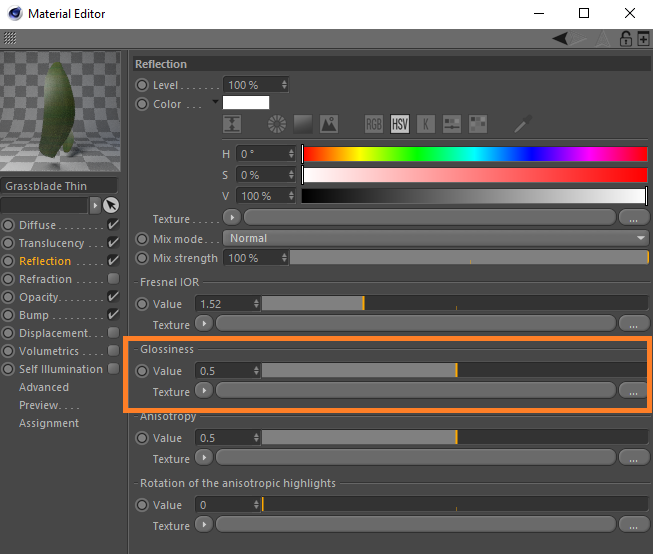 The VFB can also assist you greatly, taking advantage of post-processing effects such as Bloom and Glare in conjunction with Blur and Sharpen will also reduce the chances of fireflies. Highlight clamping in Cinema 4D can be used to clamp the brightest parts of the image and thus get rid of fireflies and noise. Note: Highlight clamping will remove the high dynamic range from the image which may be often unwanted. For example: Post-processing needs. Decreased glossiness, introduced anisotropy and HDRI were used for this example.